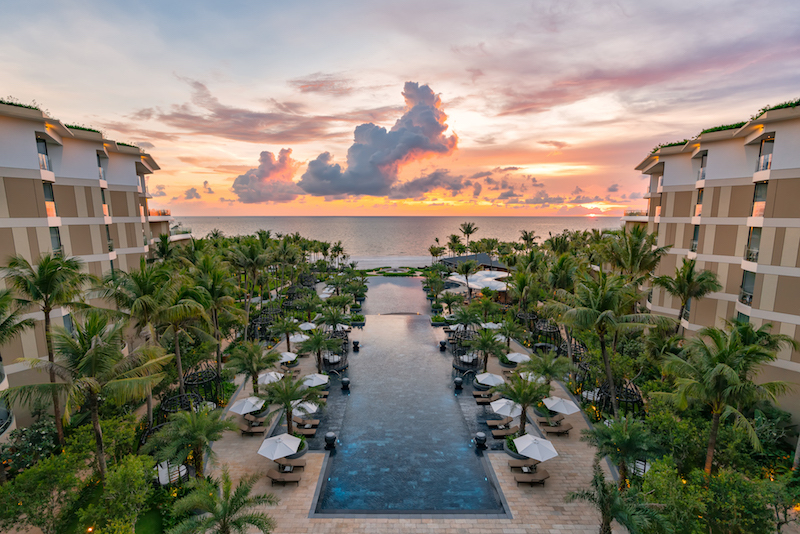 One of the most captivating features of the resort is its position on Long Beach, one of Vietnam’s most stunning white-sand beaches, enjoying glorious sunset views. It is an easy 15-minute drive from Phu Quoc International Airport, and only 20 minutes from the cultural attractions of Duong Dong town. Resort guests are offered exclusive access to a secluded stretch of Long Beach, the perfect location to swim in shimmering waters, soak up the sun, and experience ocean sunsets. 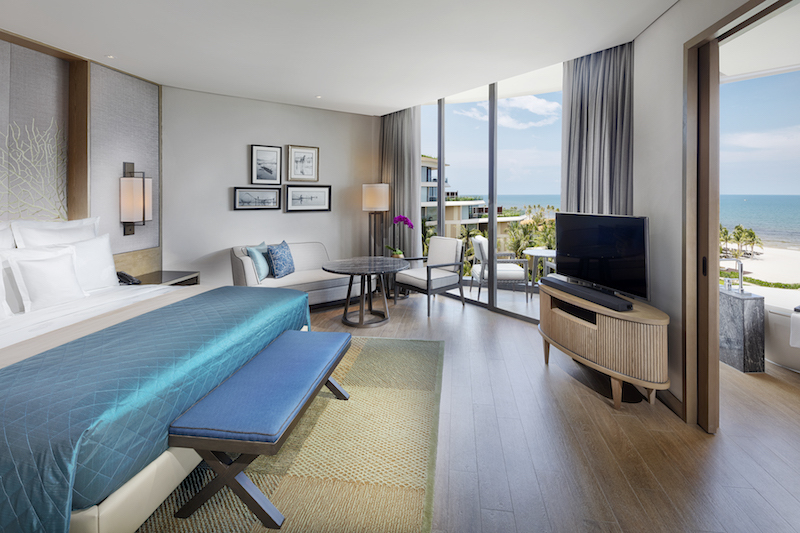 In each of the elegant rooms, suites, and villas, the deep bathtubs, walk-in rain showers, floor-to-ceiling windows and spacious balconies ensure a luxurious and inviting space for the ultimate escape in comfort and relaxation. 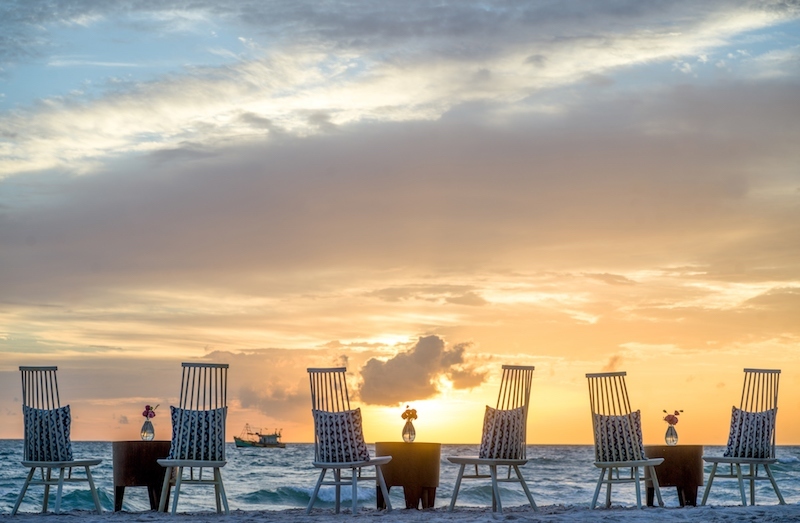 When it comes to dining, InterContinental® Phu Quoc Long Beach Resort offers a tempting array of contemporary and stylish experiences, including the highest bar in Phu Quoc, INK 360, boasting breathtaking panoramic ocean and mountain views. Created by award-winning Australian designer Ashley Sutton, the bar is the perfect venue for a welcome toast or celebratory drinks, where guests can sip on a signature cocktail while watching a magnificent sunset and nibbling on tapas-style seafood, caviar and oysters. 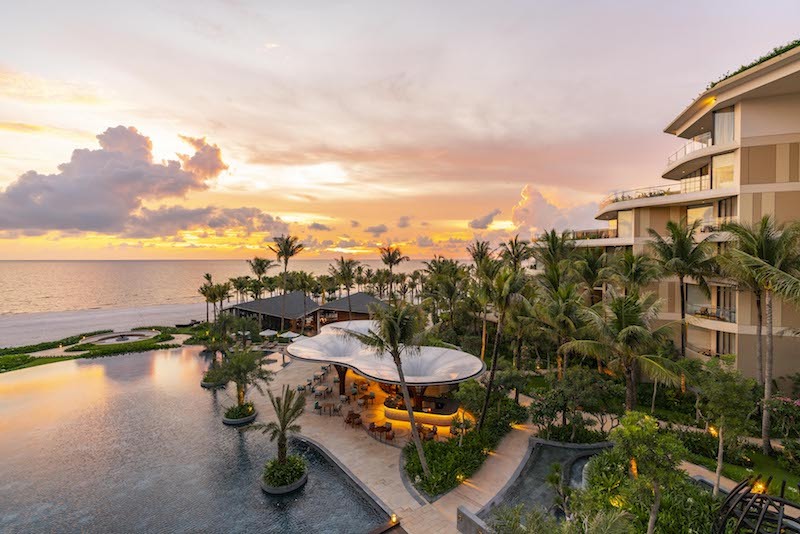 Additional dining venues include Lava, a fine-dining seafood and specialty imported meats restaurant using the freshest produce cooked on charcoal grills and lava stone enhanced with a selection of locally produced aromatic peppers such as black, white, red and Tay Giang. Sora & Umi serves authentic Japanese and Vietnamese cuisine with the focus on the restaurant’s numerous live cooking stations, including robatayaki, teppanyaki and sushi. By the pool, Ombra serves home-made Italian cuisine and gelato alongside fresh juices and healthy bites. Beachfront restaurant Sea Shack serves comfort food, tapas, barbecue and grilled dishes such as the signature lobster roll, while beers and ciders are served in the Library area stocked with books about food, cocktails, Vietnamese culture, art, interior design and travel. Mercado is the place for coffee, tea and pastries, as well as themed picnic baskets including Traditional Vietnamese Delicacies, Mediterranean and Healthy. Guests are able to indulge in serene spa treatments at the award winning HARNN Heritage Spa, designed by Vietnamese architect Vo Trong Nghia, and inspired by traditional Asian medicine and naturopathy. In addition to full-body wellness and relaxation treatments, the resort offers holistic and adventurous activities including Yoga, Pilates, and water sports, as well as bespoke cultural experiences including local produce tours to the island’s renowned pepper and pearl farms, hiking in nature, and night markets. 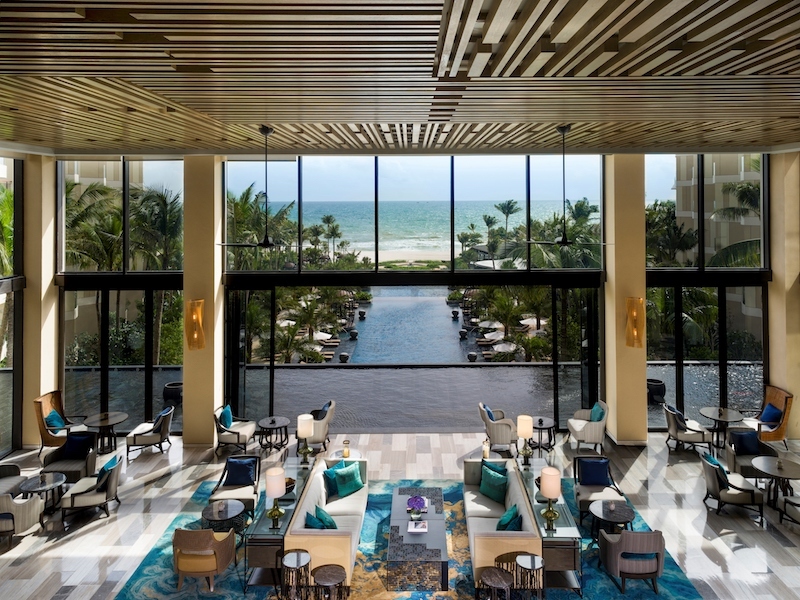 InterContinental® Phu Quoc Long Beach Resort is now accepting reservations for stays from 28 June, 2018. For more information or reservations, please visit www.phuquoc.intercontinental.com, or contact the resort by email reservations.icpq@ihg.com or phone +84 283 978 8888. For reservations, please call +84 283 978 8888 or email reservations.icpq@ihg.com.